Your efforts to stay fit could be costing you big when it comes to your formerly thick head of hair. Weight lifting can be one of the major contributing causes of hair loss in its own right. 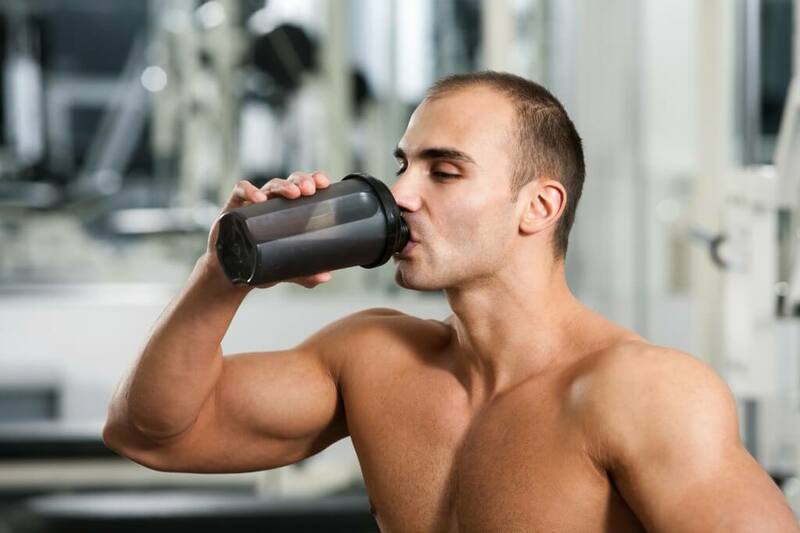 When combined with the protein drinks and powders many gyms serve to help build muscles, the hair loss may be accelerated. Protein shakes have a common source of creatine and DHEA, which are combined to raise testosterone and DHT levels in the body – both of which are believed to be responsible for many men losing hair. Thus, the more you work on building your body, the more damage it does to your hairline. It’s important to understand the distinction that hair loss is not caused by the protein powders themselves. They simply accelerate hair loss in men who have the genetic predisposition for male pattern baldness. Most men aren’t even aware this is happening until their hair has noticeably thinned. The problem with this particular type of hair loss, though, is that it isn’t something men can treat with typical over the counter methods of hair loss treatment. While products offered over-the-counter, most of which contain the active ingredient, Minoxidil, may be effective at preventing further hair loss, they do not regrow hair that is lost. Another option available for men who are losing hair is a hair transplant from Metropolitan Vein and Aesthetic Center. Men who switch from bulking up with muscle building exercises and protein powders can slow the speed at which their hairlines recede, but can’t grow their hair back. Metrovein, in New York, can help men grow new hair that looks and feels natural with no tell-tale stiches, staples, or scars. The first step is to stop the activities that may be accelerating your hair loss and then to call Metropolitan Vein and Aesthetic Center at 914-295-2202 to discuss your hair regrowth options.